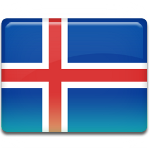 Icelandic Language Day (Dagur Íslenskrar tungu) is celebrated on November 16. This date was chosen to commemorate the birth anniversary of Jónas Hallgrímsson, a famous Icelandic poet and author. Jónas Hallgrímsson was born on November 16, 1807. He is remembered as one of the founders of Fjölnir, an Icelandic-language journal that promoted Icelandic nationalism. Hallgrímsson also was one of the founding fathers of Romanticism in Iceland and coined many Icelandic words that are now actively used. Icelandic Language Day was first celebrated in 1996. The holiday was established to raise public awareness about the importance of protecting the Icelandic language. It is marked with numerous cultural events across the country. On the occasion of the holiday, the Ministry of Culture, Science and Education awards the Jónas Hallgrímsson Award to those who had contributed to the protection and development Icelandic language. Icelandic is the official language in Iceland. It is regulated by the Árni Magnússon Institute for Icelandic Studies. The Icelandic language is spoken by 330,000 people, with the vast majority of speakers living in Iceland. Many speakers of Icelandic live in Denmark, the United States, and Canada.